Firma Swallow Sport istniejąca na rynku od kilku lat, produkująca boczne wózki do motocykli i nadwozia dla różnych firm, m.in. Austina, Fiata i Swifta, w tym roku zaprezentowała dwa własne modele oparte na konstrukcji Standarda. 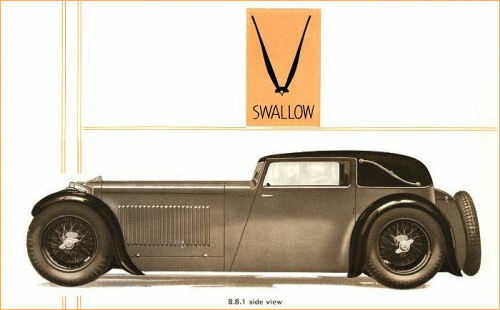 SS stand for Swallow Sports, the name of the first motorcycle sidecars. 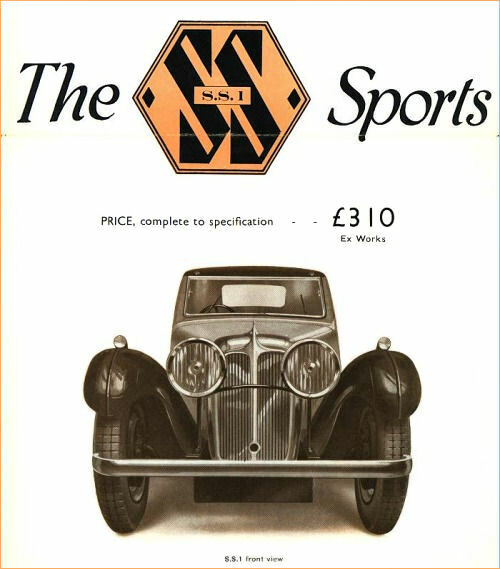 In 1931 SS became a marque in its own right, when the company introduced the SS I (for the 1932 model year). 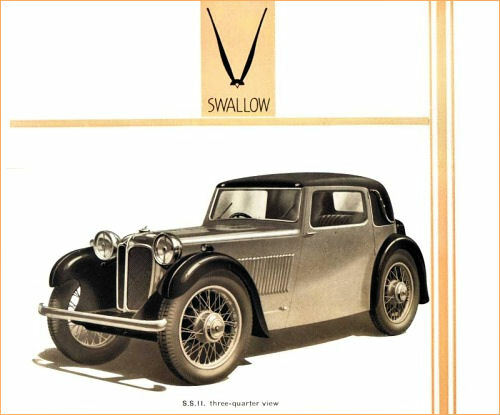 It is based on a Standard chassis, the engine of which is specially produced for Swallow. 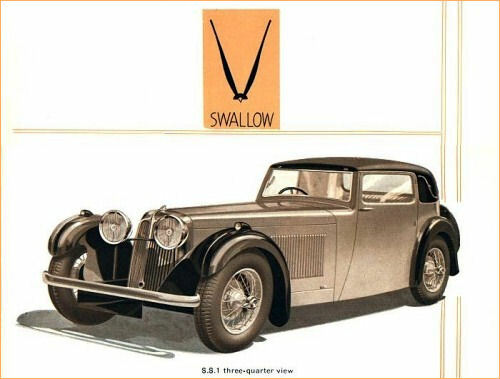 DISTINCTIVE lines have always characterized all Swallow "specials," and the "S.S.I." 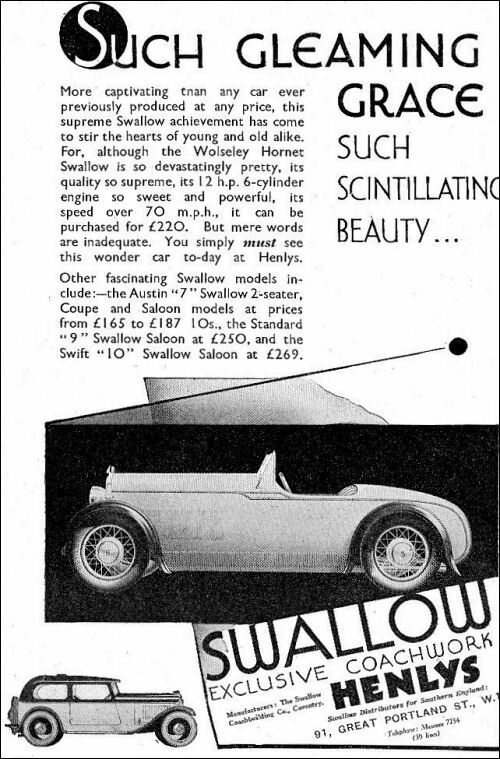 sports coupe which the Swallow Coachbuilding Co., of Foleshill, Coventry, are now manufacturing is, if anything, even more striking than the other models. 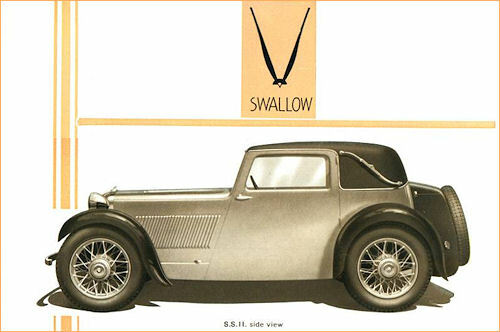 The chassis of this car which is here illustrated, is specially manufactured by the Standard Motor Co., for the Swallow concern ; it has an underslimg frame, and the engine unit and radiator are placed behind the front wheel centres. The former is the Standard six-cylinder which has a capacity of 2,054 c.c. (tax £16), and the gearbox has ratios of 4.6, 6.15, 9.75 and 16.1. The ignition is by battery-and-coil and the carburettor is a Solex. The front axle, which is considerably dropped, has an " H " section beam, and the rear axle is of the spiral bevel type. Other details of the specification of the S.S.I. are:— Steering: Marles-Weller cam and lever type. Springing: Half-elliptics all round with Luvax shock absorbers. Braking system: Bendix Duo Servo. 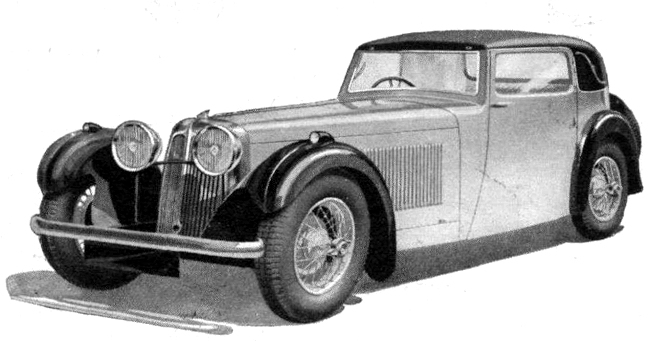 The radiator is of special design, so shaped as to blend well with the lines of the coachwork, and the filler cap is placed under the bonnet. Bumpers fore and aft are fitted as standard. The body is an exceptionally pleasing piece of work, clean, very low, yet roomy and with plenty of headroom. 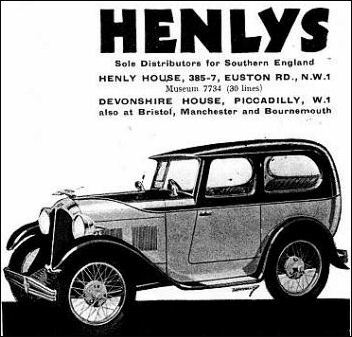 It is a genuine coachbuilt job, with flush-fitting doors and a leather grained head with sliding roof. As can be seen, the wings are of pleasing contour with the popular swaged centres. The internal finish is in keeping with the whole, with " Vaumol " hide upholstery and an instrument panel equipped and arranged in the most modern style. 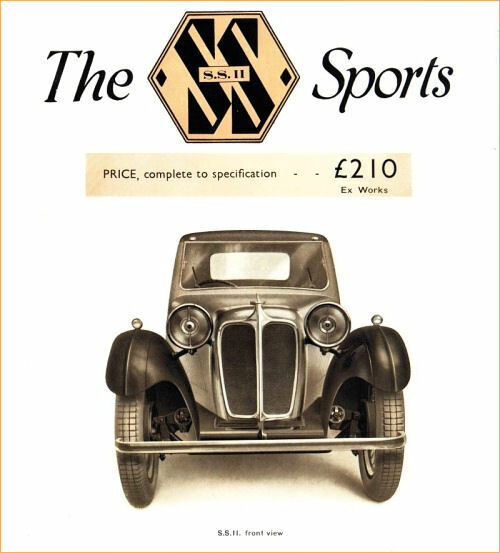 Unlike some other ultra-low built closed cars, the S.S.I. provides a really wide driving vision, and it has a very respectable road performance both in regard to speed and handling. The price is £310.